This document provides an explanation of error ORA-15196, including the details of each argument, suggestions for the diagnostic of the error and finally includes a case study using a real problem reported by a customer. In general terms it is valid to say this argument will be the same in most of the possible cases, because is always the same routine where this exception is raised. kfbValidPriv(data, len, type, bl, FILE , LINE ). The ASM metadata is composed by many different structures like file directory, disk directory, active change directory (ACDC), etc, which are organized by files (asm file# between 1 and 255). Each file will be made of extents, which will be made of ASM block (4096 bytes). Each block has a generic block header (kfbh), and any of those fields can be validated. Every ASM metadata block belongs to a specific file associated with a specific ASM structure. That’s why ASM File numbers between 1 and 255 are used to identify the files storing those structures. The value on this field, references the ASM file number. An ASM file will allocate extents, which are associated with Allocation Units. Multiple ASM metadata blocks of 4096 bytes make the extent, considering the default Allocation Unit size of 1MB; there are 256 blocks on each extent/AU. The value stored on this field indicates the block number relative to a particular file. In this example, (93) is the block number, which will be stored in the first extent of the file. That extent will be allocated on a specific Allocation Unit of any of the disks in the diskgroup. This is the value found in the block for the field referenced in argument #2. This is the expected value for the block referenced by argument # 2. In the previous example, the field failing the validations is endian_kfbh, belong to file 1 (FILE DIRECTORY); it was also relative block 93, and the value for endian_kfbh was 211 while the correct value should have been 0. Up to 10gR2, there are some bugs (patch included) related to this error. 5554692 Related to indirect extent allocation. Please read the bug descriptionin webiv, because not all cases of ORA-15196 are this particular bug. Once this error is reported, the diskgroup needs to be recreated. There are situations where diskgroup cannot be mounted, or others where any reference to the metadata (recursive or non recursive), will signal the error and dismount the diskgroup. In the line prior the report of error ORA-15196, it indicates the disk storing the block: from disk(s): 0. It may be necessary to provide partial copy of other disks in the diskgroup. AMDU will be explained with more detail in a different note (TBD). 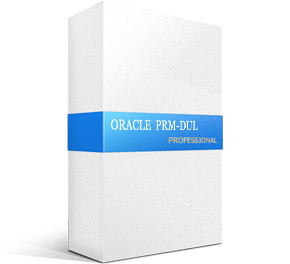 This tool is part of the New Features introduced with 11g. It reads the ASM disks and extract information into different files. Those files have a mapping of the ASM metadata, an image with the content of the disks or it is possible to extract files from the diskgroup. AMDU can extract the information even if the diskgroup is dismounted. The mapping file is very important for the diagnostic of error ORA-15196. It has the specific location for each of the extents of each ASM metadata file. Note 553639.1 is the placeholder for the AMDU binaries for some of the platforms. Always review other blocks in the boundaries of the affected block. If more than one block has incorrect data (zeros), and they belong to different ASM structures (file directory, disk directory, etc), it is most likely was caused outside of ASM: disk reformatted, assigned to another volume manager, etc. Use kfed to extract the content of the blocks. Reviewing the trace file generated by the error. The trace file always will print a dump of the ASM metadata block in memory, and also a short call stack. The output of the block is the same generated by kfed, which is a readable by the user. Compare the data in the trace file with the data extracted from disk using kfed. Comparing the block dumped in the trace file and the block in disk, it is possible to identify the exact cause of the check validation failure. Every case will be different, but if the data stored in disk is zeros, always remember to validate other blocks (adjacent). If more blocks are reporting invalid data (zeros), this is an indication the disk has been formatted outside ASM. This is an example of a block with invalid data. The type of the block is KFBTYP_INVALID, generated when a incorrect type is stored. The full content of the block has 0xd4. The diskgroup was not used for some months, used by a copy of a database. Due to business reasons, that database required to be used. Mounting the diskgroup was possible, but when the database was mounted, and reading the ASM metadata was required, error ORA-15196 was signaled and diskgroup dismounted. The diskgroup was configured using external redundancy with a single disk and using the default Allocation Unit size of 1MB. The ASM block dumped in the trace file. AMDU together with 300MB for the disk were collected. o The block belongs to file 1 (fn=1). File 1 is the File Directory. o The value for obj_kfbl found was 3 but the expected value should be 1. File extents, allocation units, blocks in ASM start at 0. Also, block size is 4096. Using the default AU size (1MB), there are 256 blocks. Block 256 is stored in the second extent. Although the diskgroup was mounted, any query referencing x$kffxp trying to get the extent mapping for file 1 failed. As a result, it was not possible to identify the AU used by block 256 from file 1 (the affected block). This line indicates that for File 1 (F00000001)), the first extent is stored in Allocation Unit 2 ( A00000002 ) from disk 0 ( D0000 ) . t was not another entry for file 1 in the mapping file, but AMDU was generating a core dump. It was discovered AMDU was trying to read Allocation Unit 50. One of the cool things of AMDU, is the possibility of dumping the content of a complete extent for a particular file, redirecting the output into a text file. The previous command will dump 256 blocks of File 1 Extent 1 starting at block 0. The ASM metadata shows that Allocation Unit 50 from disk 0 belongs to File 1. The content dumped into the trace file was the same found on disk. The check validation failed because the data stored in the block was not part of the correct ASM metadata, in this case file directory. The next step was to validate all the blocks in the same Allocation Unit. Those blocks belong to the same ASM metadata (KFBTYP_FILEDIR). 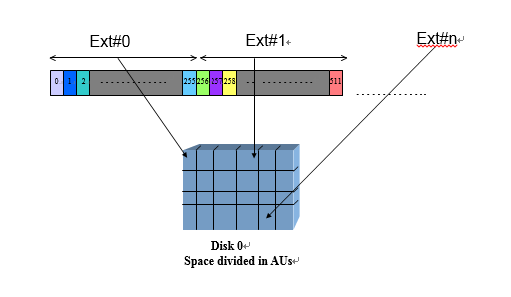 One Allocation Unit is used exclusively by one unique file. There was not an available backup for the database stored on the diskgroup, so it was required to keep the diskgroup mounted. Patching the ASM metadata, replacing the content of the first block from Allocation Unit 50, with a valid data. Additional patching was required, in order to adjust other fields in the block. Once the block was successfully patched, the diskgroup was mounted and queries on internal views did not dismount the diskgroup. Opening the database report errors trying to identify one data file. The extent mapping for this file was stored in the patched block. Luckily that file was not relevant for the database. After setting the file offline, the database opened without errors. Because was not possible to guarantee the integrity of the diskgroup, it was recommended to take a backup of the database and rebuild the diskgroup.